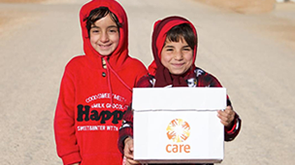 CARE International UK publishes information via the International Aid Transparency Initiative (IATI) about CARE programmes and projects funded or part-funded by the UK government. IATI is a global transparency standard that aims to make information about aid spending easier to access, use and understand, in order to help ensure aid is managed and spent more effectively. CARE currently publishes top line information on projects funded by the UK government. We are working towards publishing more detailed information on income, expenditure and transfers to our partners overseas in line with our funding agreement with the Department for International Development. Eventually we aim to publish similar information for work funded by other donors as well, not just DFID. CARE International UK is committed to making full disclosure of its project and programme information through IATI. In future we hope to publish all our grants and contracts in a transparent way through IATI, but as a first step we are releasing DFID data alone. Information whose disclosure would compromise the safety or security of our partners or staff. Information that breaks confidentiality agreements with our partners. Any information that, if disclosed, could compromise the integrity of CARE International or its reputation. This disclosure is part of wider transparency and accountability work managed by the CARE International Secretariat on behalf of the confederation. Please contact us if you require further details. Our data is subject to an Open Data Attribution licence, which sets out how our IATI data can be used. In short, you are allowed to share, adapt, or create new works with the aid information, so long as you attribute CIUK as the source when you publicly use it.